Will Birmingham join the National Basketball Development League? Philip Evans, president of the National Basketball Development League and Bruce Burge visit Birmingham as a possible expansion site for the 2003-04 season. They were joined on the tour by local businessman Jon Creel. The NBDL, which played its first season in 2001-02, is a minor league farm system wholly owned by the National Basketball Association. The NBA formed the NBDL to have more direct control over the development of players, coaches, officials, and office staff. With the formation of the NBDL, the NBA then severed ties with the Continental Basketball Association, which for years had a working agreement with the NBA. Each NBDL team plays over 50 games during a November through March season. Burge is very familiar with Birmingham, having been at times a co-owner of the East Coast Hockey League's Birmingham Bulls and arenafootball2's Birmingham Steeldogs. 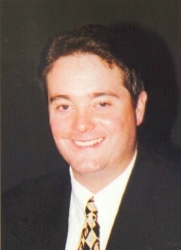 Burge currently works as the league's sponsorship sales director. One of the group's tour stops was Hoover High School to look at their facilities. "We've always thought Birmingham would be a good market for the NBDL. I was a little concerned about the venues available. Obviously, we're building our product in the Southeast and we were looking for a venue a little more intimate than the BJCC, although that's an impressive facility," Evans said. Creel agreed, saying, "Birmingham is one place they want to be. With the caliber of basketball that comes out of the universities around here, they want to create their franchises with them." While all of the current franchises are owned by the NBA, Evans said they are now looking for local owners for franchises. "Late last week we decided formally to begin considering local ownership for the first time. Since we made that internal announcement, my phone has been ringing off the hook. I had a gentleman in Birmingham who was interested in a team this fall. If we do something that quickly, I wanted to meet with him and take a look around," Evans said. Two of the league's eight franchises folded after last season, primarily due to poor attendance. Ironically, they are both the only champions the league has ever had; the Greenville Groove, who won the first year, and the Mobile Revelers, who won last year. However, the league's expansion plan is aggressive and they would like to add up to 24 teams within the next two years. "The fact that we weren't able to get off the ground as quickly in Mobile as we would have liked was a contributing factor in our deciding to partner with the right local owner. The right local partner can generate interest, we believe, and support in an NBDL team much more quickly than we can, even with the resources of the NBA behind us," Evans said. "We're in negotiations, but I think it's a little premature at this point. I need to meet with some other folks and see if we can make arrangements (for a team). It would be good for the city. Because it is an NBA franchise, NBA-sanctioned, it gives them more respect than the football teams like the WFL or something along those lines," Creel said. The National Basketball Development League did not award any new franchises for the 2003-04 season. In 2005 the league changed their name to the NBA Development League, or "D-League" for short. In 2017 the league changed their name once again, this time to the NBA G League, or "G League" for short. This was done because the league's title sponsor is Gatorade. In 2018, the National Basketball Association's New Orleans Pelicans announced they will place a G League team in Birmingham beginning with the 2020 season.